Cba, care you can count on! Applied Behavior Analysis, Counseling and Positive Behavior Support Service Request Form: Click Here! Our experience in caring for others is as personal to us, as it is professional. Because we listen and we care, whether a client or team member! 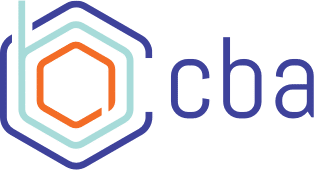 Clinical Behavior Analysis or "CBA"
CBA is the region’s expert provider of Applied Behavior Analysis (ABA), counseling and direct support services to individuals with intellectual and developmental disabilities, acquired brain injury and autism. We specialize in helping both individuals and their families to learn skills necessary to grow and strive towards reaching meaningful goals. By listening to you and taking your needs seriously, we design a personalized plan to help individuals achieve independence and happiness. Our highly trained staff work closely with you, within an evidence-based framework, to provide the best care available so you can enjoy the peace that comes with an improved quality of life. At CBA, we want you to know that you’re not in this alone. We will be with you every step of the way, and together we will achieve your goals, making a happier life a reality. Learn more about the first ever, Center for Behavior Analysis in The State of Kentucky. Our mission drives our overall motivation, to work with, assist and develop skills for anyone who simply would benefit from learning. This includes intensive functional analysis & assessment/treatment of severe behavior disorders as well as development of meaningful social, language, vocational, academic and/or functional skills. RAPID Skills Training, a/k/a "RST"
We make meaningful change happen. CBA participates in a variety of funding sources to reach as many individuals and their families as possible. Where compassion, proven research, and quality care meet.